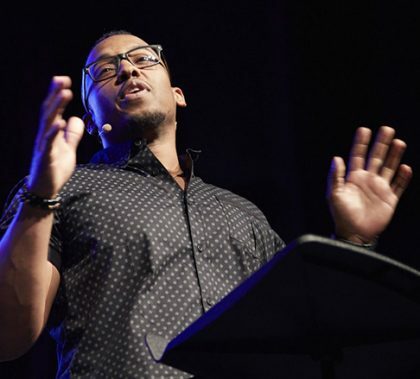 Warren Stewart Jr.’s Chapel talks command attention, and he urged listeners Monday to make their message equally clear when they share the Gospel with others. “God saved us to send us out,” he said. 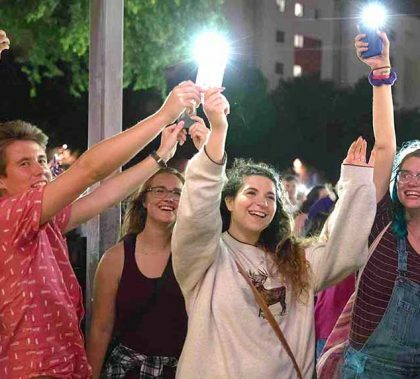 The first Movement Day Arizona, which took place Saturday at GCU, featured passionate speeches and workshops and calls for Christians to unite in common causes. 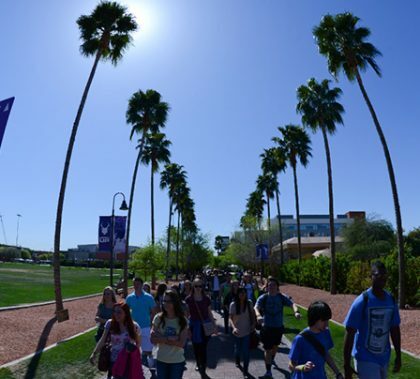 The GCU INsider has important information, such as the Chapel schedule, and some just-for-fun items, such as how many palm trees are on the Promenade. Church and civic leaders from all over Arizona will gather Saturday at GCU Arena for the first Movement Day Arizona, designed to get things done for the abused and underprivileged. Executive Director Billy Thrall said GCU is the perfect site for the conference because of its heart for the community. 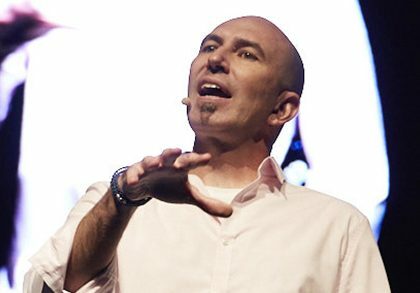 Ron Merrell injected a bit of a humor but a lot of heart into his Chapel talk Monday about the pain and suffering we all encounter. “When your soul, when your heart gets damaged and wrecked, when it is darkened, then you and I need to run to Jesus,” he said. 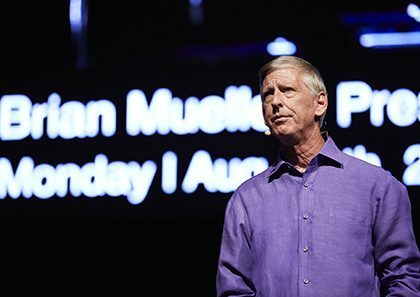 Grand Canyon University President Brian Mueller delivered a passionate talk at Chapel on Monday about the importance of keeping God in the center of our lives. 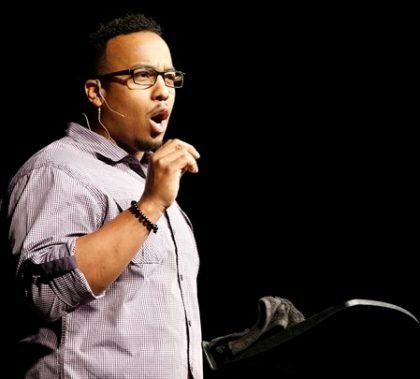 “This is a community of believers that God is working in, and as a result of that there is nothing that God can’t do through us,” he said. 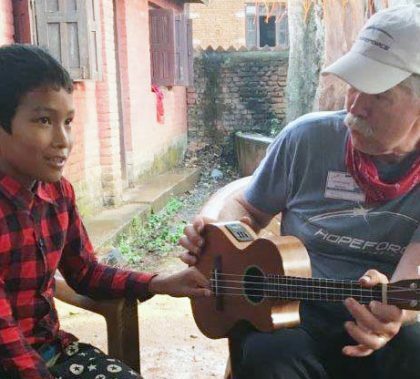 Richard Busby, a professor in the College of Nursing and Health Care Professions, has worked in the medical field for 40 years and has traveled to 28 countries to aid those with limited access to medical care and to serve struggling communities. He shared stories about his recent experience in Kathmandu, Nepal, and his passionate view on integrating faith into the classroom. The fall semester schedule for Chapel is a mix of new speakers and returnees, as usual. But what’s notable about it is that speakers could choose from a list of topics that are important to Christians, and there also will be the first annual Chapel session on bioethics. Jim Miller, the new corporate chaplain in the executive office building at 27th Avenue, will bring years of experience to the position plus a passion for helping. “Work doesn’t happen in a vacuum. I’m here to talk and pray with anyone,” he said.